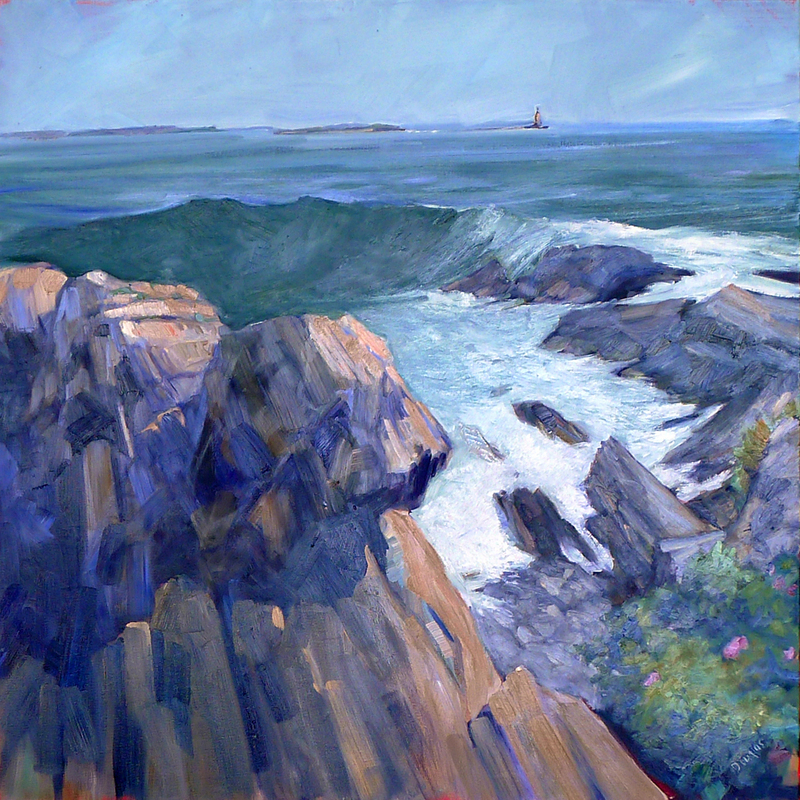 "Cape Elizabeth Cliffs," 36X36, oil on canvas. 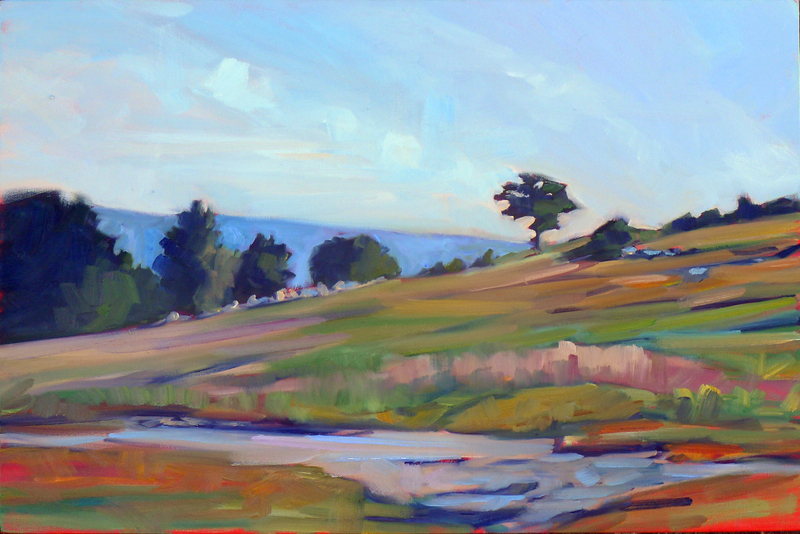 "Blueberry barrens, Clary Hill," oil on canvas, 24X36, available. 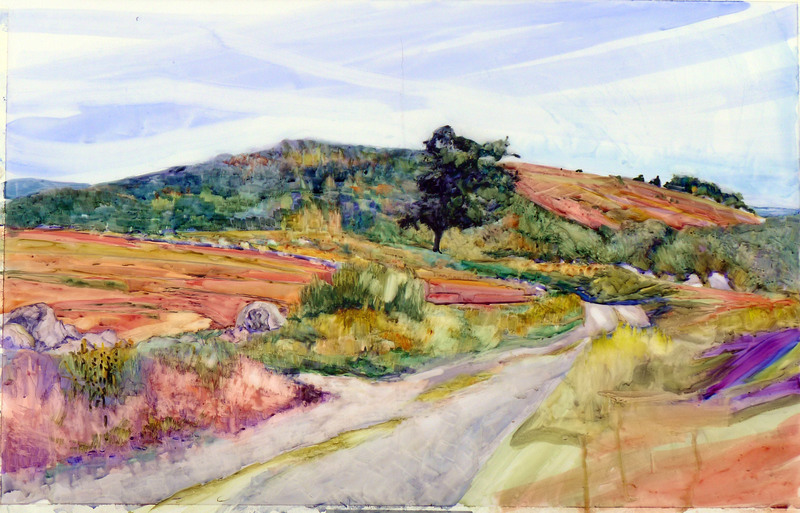 "Clary Hill Blueberry Barrens," watercolor full sheet, available. 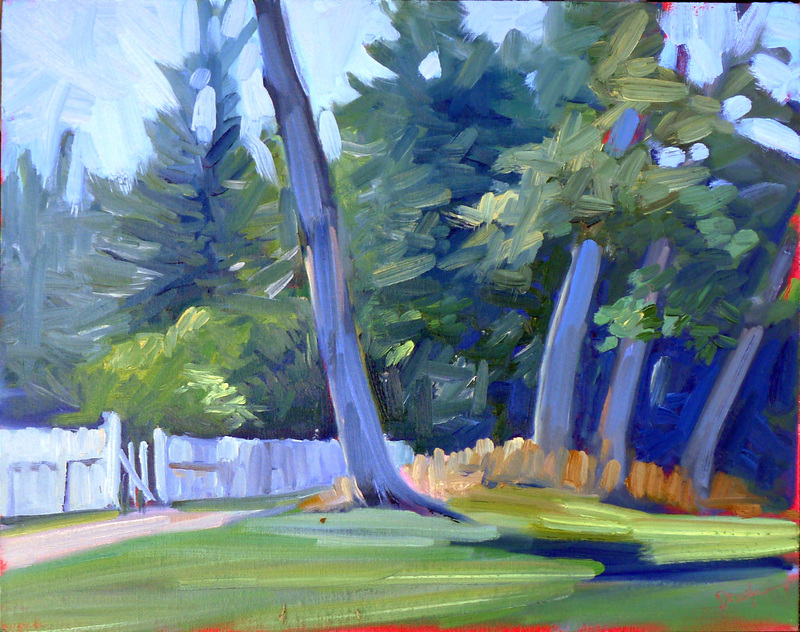 "Tom Sawyer's Fence," oil on canvasboard, available. 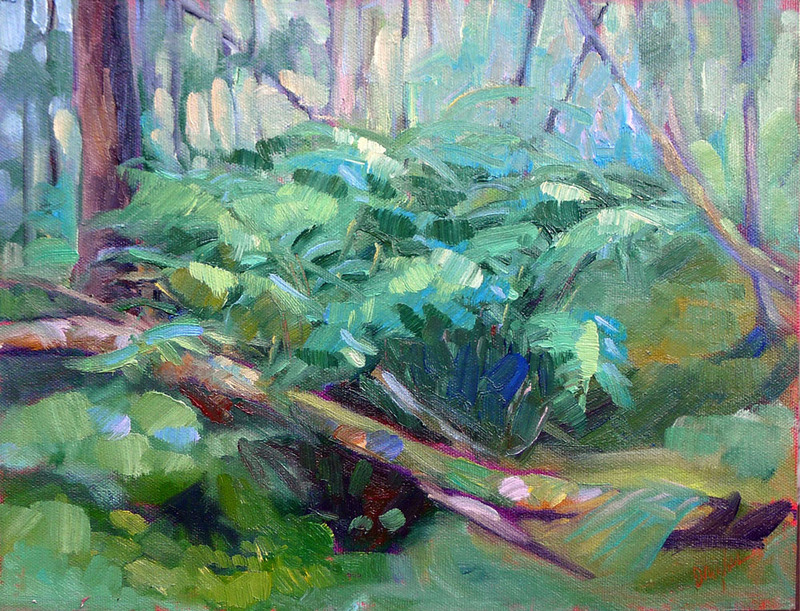 "Bracken Fern," 12X9, oil on canvasboard, available. 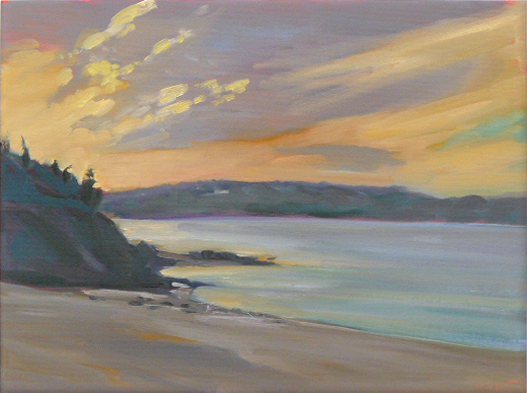 "Nova Scotia Sunrise," 12X16, oil on canvasboard, available. 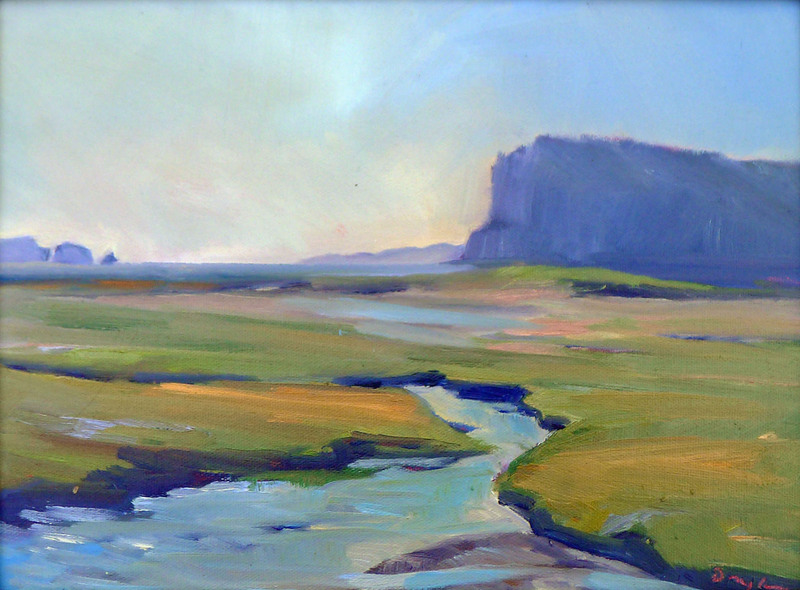 "Bay of Fundy Marshes," 12X16, oil on canvasboard, available. 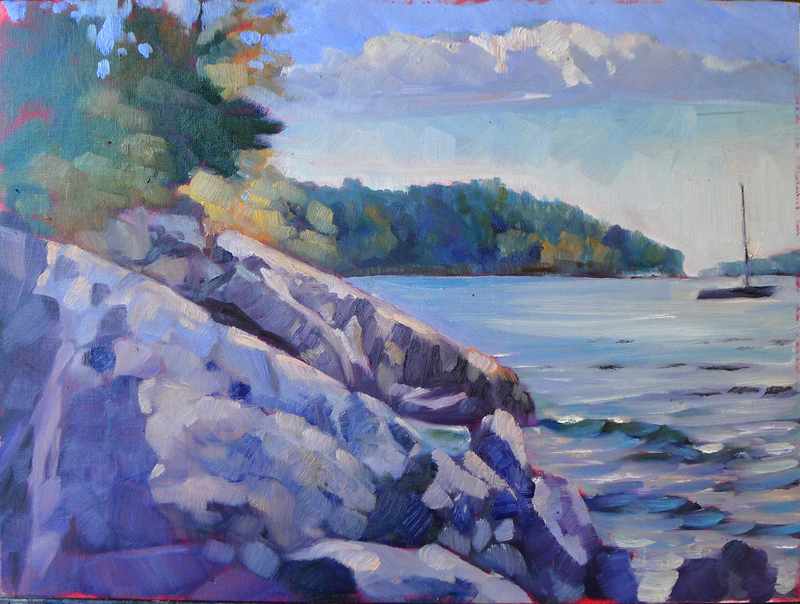 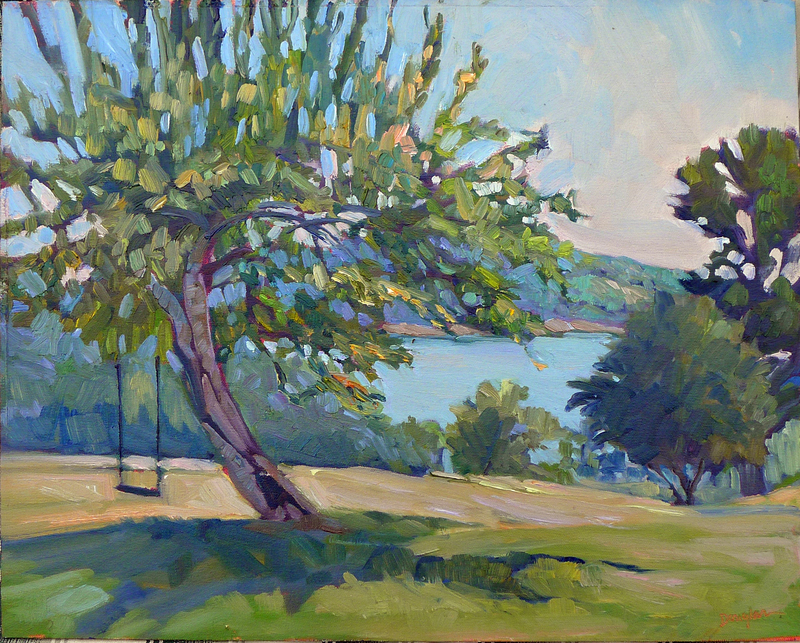 "Beauchamp Point in Autumn," oil on canvasboard, available. 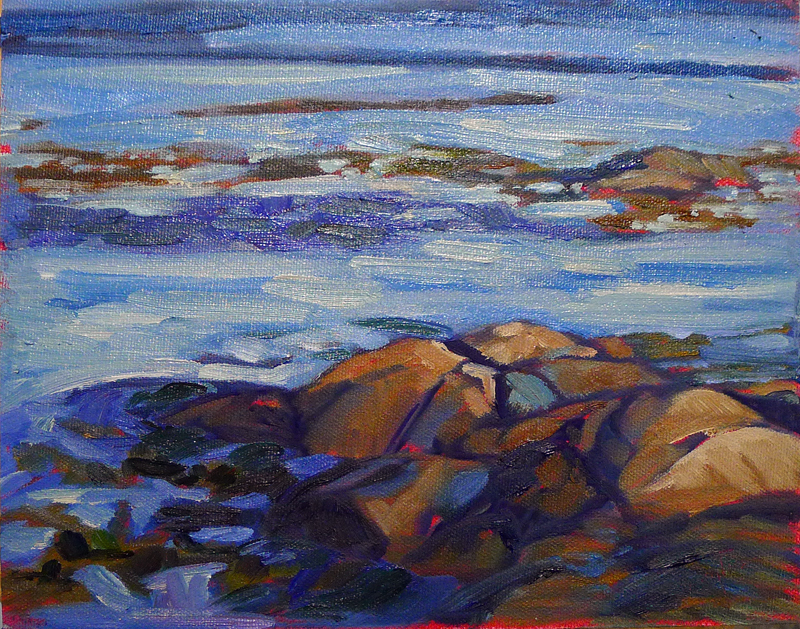 "Below Ottawa House," 12X16, oil on canvasboard, available. 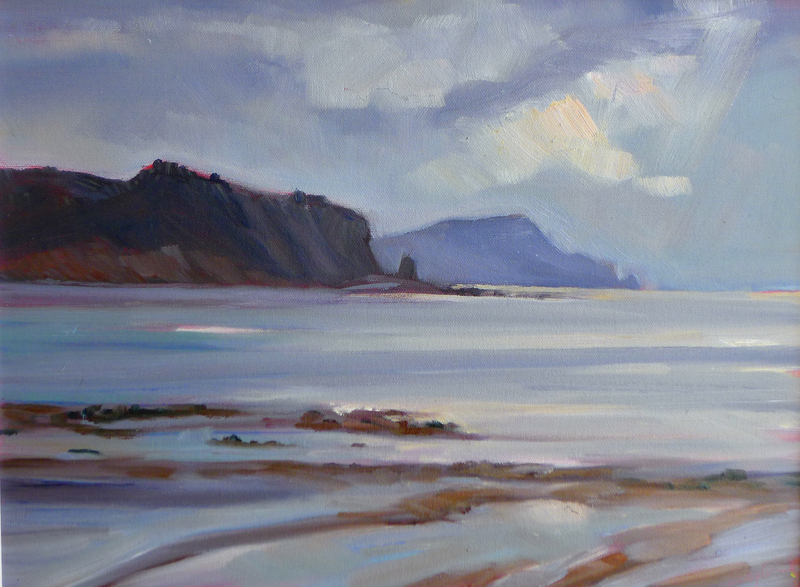 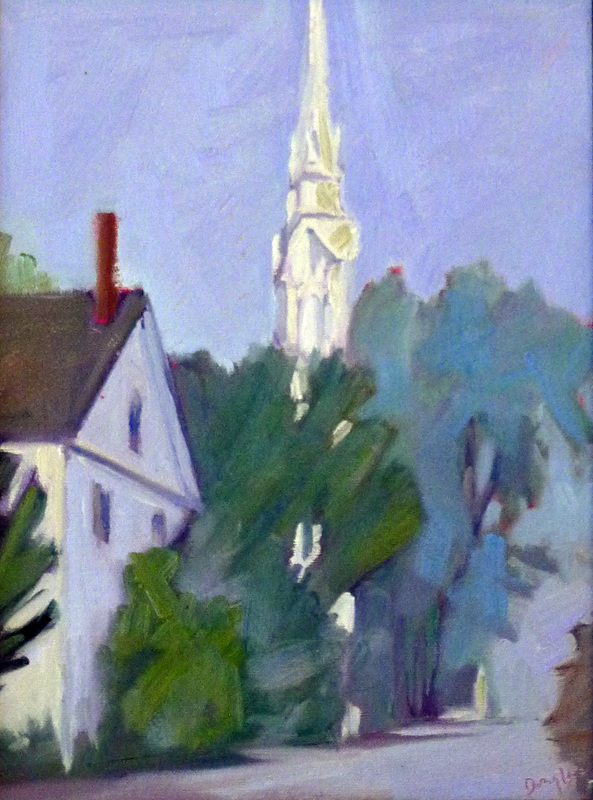 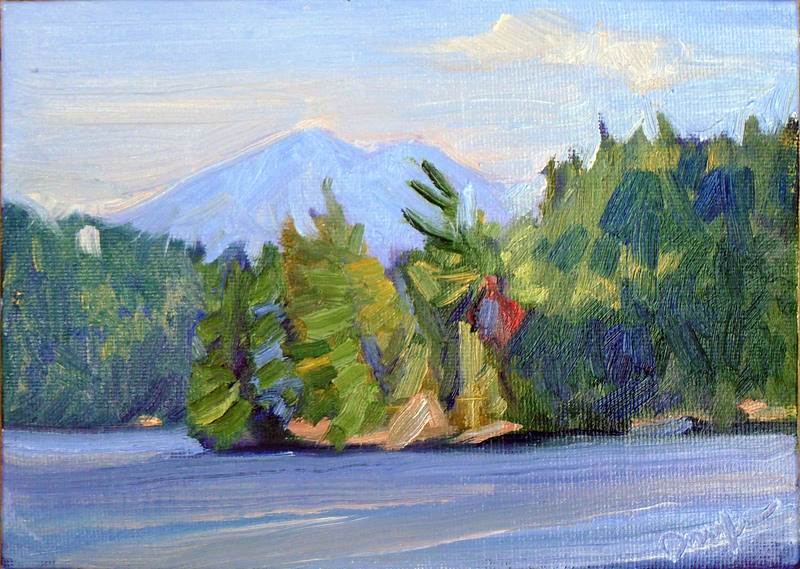 "Chapel Island," 6X4, oil on canvasboard. 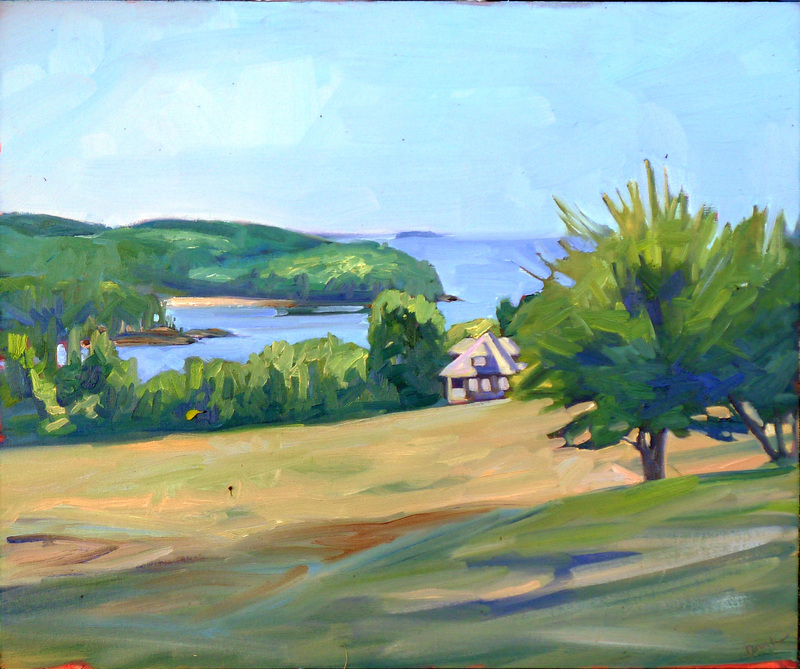 "Ocean Park Beach," oil on canvasboard, available. 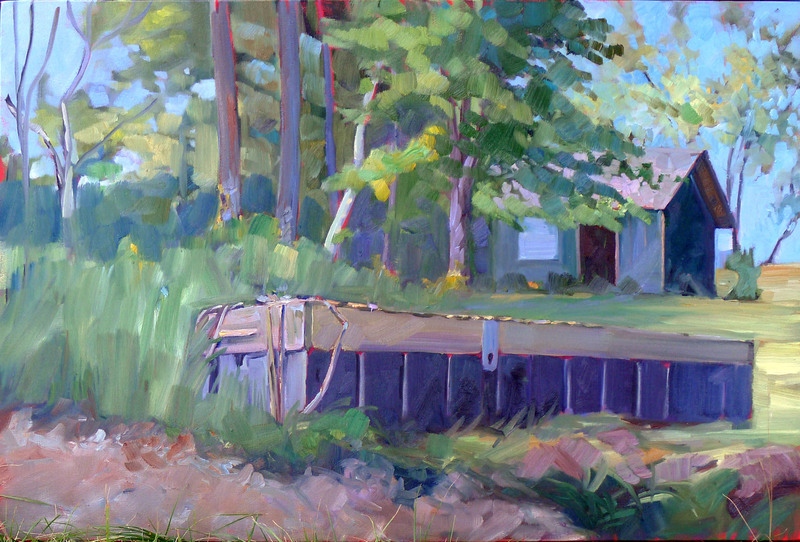 "Float," 24X36, oil on canvas, available. 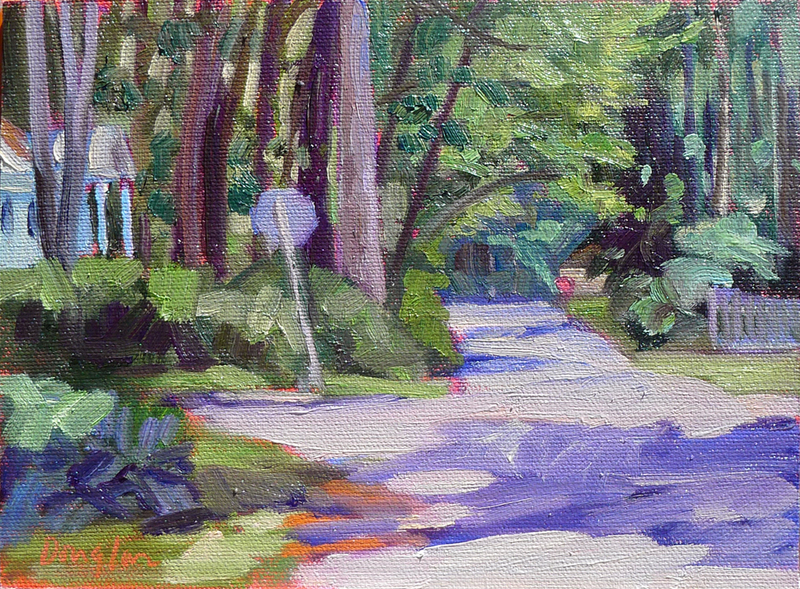 "Full Stop," 8X6, oil on canvasboard. 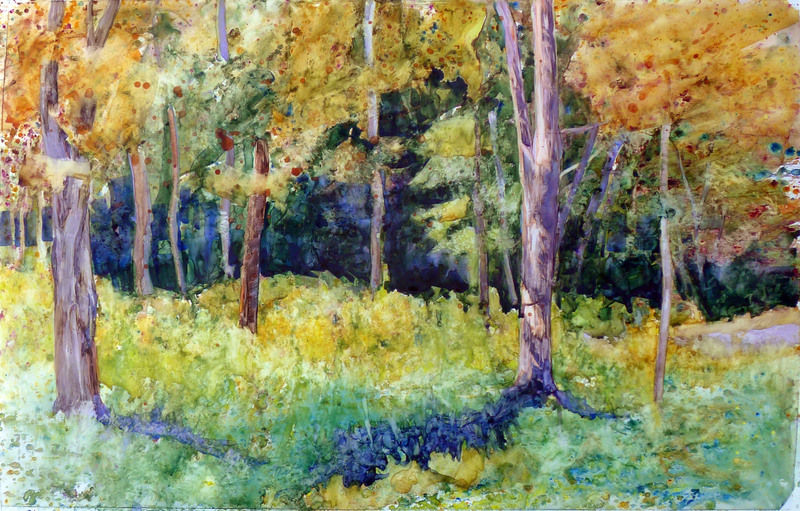 "Glade," watercolor full sheet, available. 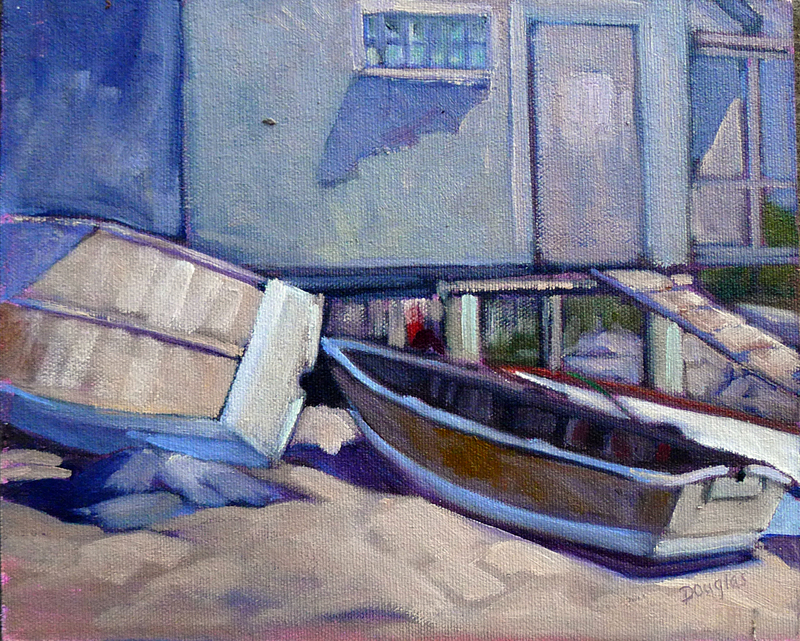 "Fish Beach," 10X8, oil on canvasboard. 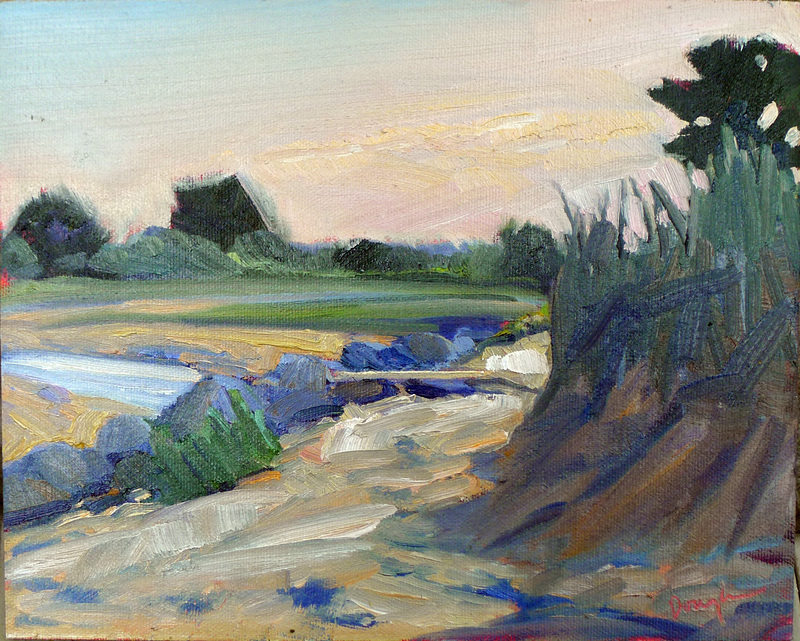 "Sunset near Clark Island," oil on canvasboard, available. 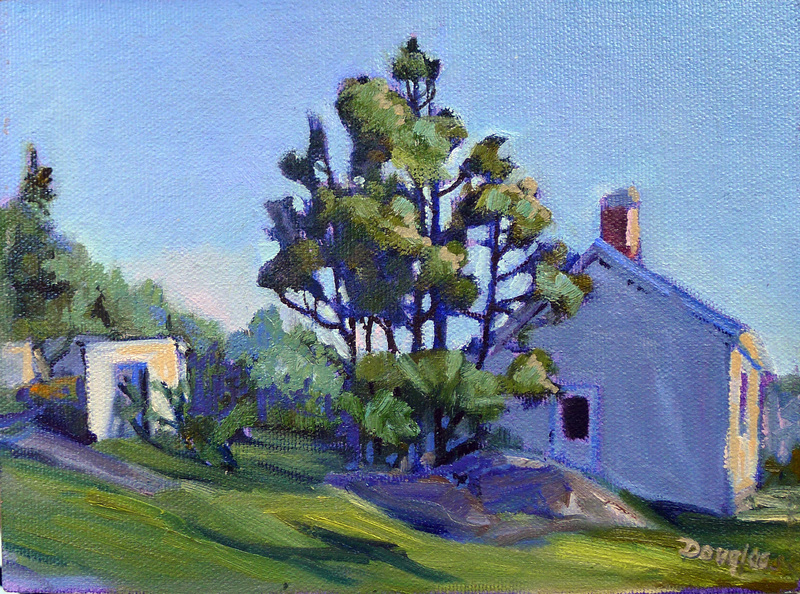 "Monday evening behind the Monhegan schoolhouse," plein air, oil on canvas. 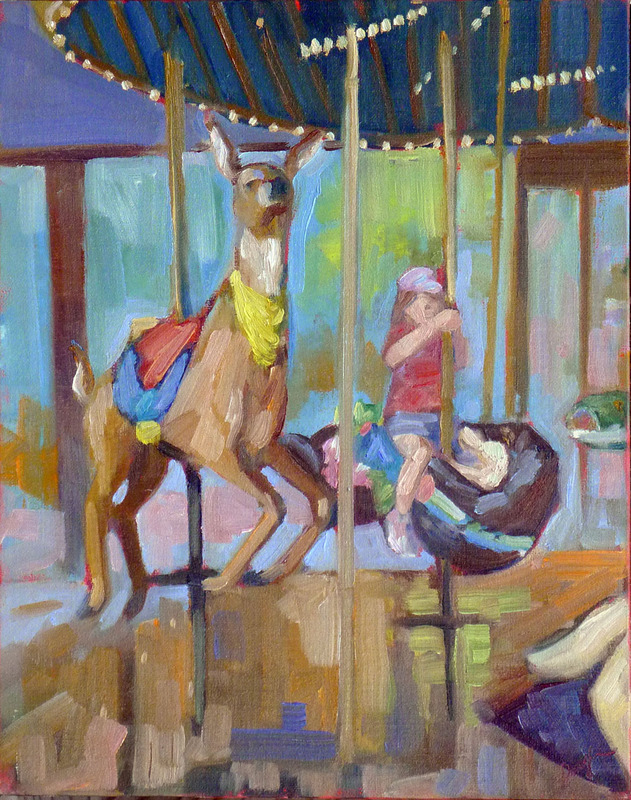 Best Buds, 11X14, oil on canvasboard, available.